Congratulations to the Nogalas Noble Regiment at Nogalas High School in La Puente, CA! 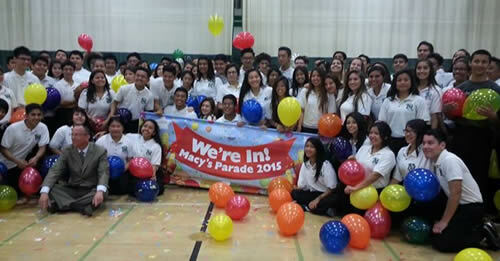 They are 1 of only 10 schools, out of 175 who auditioned, to be invited to march at the Macy’s Thanksgiving Day Parade in New York. Additionally, the Nogalas Noble Regiment is looking for donations to help them get to New York. If you would like to contribute to their continued success, you can visit their Go Fund Me page.